President Erdogan called on Wednesday for a snap presidential and parliamentary elections to be held in June, a year earlier than scheduled, moving to consolidate his one-man rule. Before the last year’s referendum, Erdogan forged an alliance with a pseudo opposition Nationalist Movement Party while leveraging the state’s power to keep the rest of the opposition under pressure. On the openly fraudulent and rigged referendum last year, Erdogan is defeated in Turkey’s three largest cities (Istanbul, Ankara and Izmir) and in areas where the president had previously garnered support. So it seems so hard to get these metropols’ support in the upcoming elections. Inflation, interest rates and USD/TL exchange rate remain high and as expected the economic situation will be the key factor in the polls. So it’s believed that Erdogan did not want to risk it, as things may get worse. Some analysts claims that the international reserves of the Central Bank dropped by %20 just in last month and the economic outlook doesn’t paint positive picture over the forecast period. They also remind Chavez of Venezuela and Kirchner of Argentina that both got more and more radical after elections. Another view states that elections are scheduled for such a close date to today in order not to give enough time to potential serious rivals to campaign against Erdogan, and not to give enough time for the opposition to be organised for the general election. Following the announcement of elections, the Republican People’s Party (CHP) said it was accepting the challenge. “We are ready for elections. We are ready, as if they will be held tomorrow,” spokesperson Bulent Tezcan said. CHP leader Kemal Kılıçdaroğlu has vowed his party will declare victory in the parliamentary and presidential elections and said 2018 will be the year Turkey returns to democracy. “We are ready for the elections. The statement Erdogan made shows that he will lose. The nation will get rid of them. 2018 will be the year for democracy. 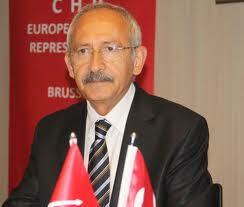 They will be given a lesson on democracy,” Kılıçdaroğlu said. According to Turkish law, a political party has to hold its first convention six months before the election date. Turkey’s electoral board was about release a decision to reject right-wing Iyi Party’s, which was founded in October 2017, application to join the upcoming elections. But if a political party has a group in parliament with 20 lawmakers, it will have the right to participate in the elections and present a presidential candidate. The party also becomes eligible to get financial aid from the Treasury for the elections. On 22nd of April, just before the Election Board’s announcement, 15 MPs from CHP tactically resigned and joined Iyi Party to enable it to secure a parliamentary group with 20 lawmakers and bypassed any further requirements to participate in the general and presidential elections. No obstacles left for Iyi Party to join in the elections. For some the fear of the potential popularity of emerging Iyi Party on rightist and conservative votes also played a major part in the early elections decision. The state of emergency was put in place soon after the coup attempt, and parliament extended it for a seventh time last Wednesday. So the elections will be held while state of emergency is going on which restricts gathering. According to a critical European Union report released last week, the measures undertaken by Turkey under an almost two year old state of emergency have curtailed civil and political rights, more than 150,000 people had been taken in custody and 78,000 arrested including members of opposition parties. Many have deep concerns about the government’s ability and “will” to hold a free and fair elections given the experiences of recent referendum and elections held in 2015.